When the casts of X-Men Apocalypse, Fantastic Four, Deadpool, Gambit and The Wolverine all met on stage at San Diego Comic-Con, fans could see the writing on the wall. Despite years of rumors and denials, this was leading to a crossover. Now, we have a minor confirmation. That would be a natural match-up because they’re both ensemble films and there is a natural mechanism by which to do it....But we have to see how the films turn out. How [X-Men Apocalypse] turns out, how Fantastic Four plays, to really understand what kind of desire and how that would really work. I think to just say ‘You’re going to do it’ is kind of a mistake. I think you have to see how the films evolve before you make that decision to completely commit to that. But there are those ideas in play. It deals with time. That’s all I’m going to say. The biggest “If” in this equation, obviously, is Fantastic Four. As a franchise on their own, the X-Men have more than enough characters, villains and storylines to exist independently of any one else. 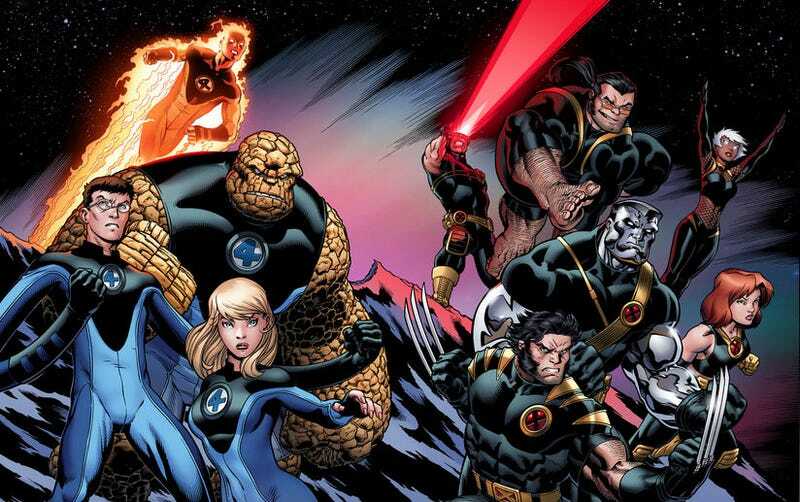 So if Fantastic Four doesn’t connect, that can just exist on the outskirts and be ignored. But if it does, it’s nice to know these discussions are happening. Fans would surely get very excited to see these two powerhouse titles go head to head. The full video is at the below link. It’s actually a pretty solid interview, filled with fan questions about lots of fun stuff. The crossover stuff is near the end. Fantastic Four opens August 7. X-Men Apocalypse opens May 27, 2016.